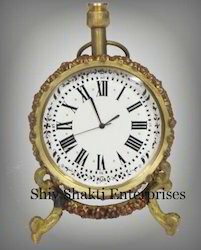 A beautiful nautical clock with stand. This is a very beautiful decorative piece. Add this conversation piece to your home decor today. We are successfully ranked among the top manufacturers and exporters of SB – 241507. Our product range is manufactured in a simple and compact design by our professionals using high quality raw material. Further, these products are provided in various dimensions as per the detailed requirements of our valuable clients. We are the prominent manufacturer, trader, wholesaler and supplier of a wide range of Antique Copper Diving Helmets. The offered helmets are fabricated using optimum quality raw material and sophisticated technology in compliance with the international standards. Apart from this, the offered helmets are available in variegated sizes, dimensions and patterns as per the varied needs of clients. Ship Brass Sextant With Wooden Box 10"
We are one of the leading manufacturers, suppliers and exporters of wide array of customized table top nautical items. These are widely markets are gifting articles and we manufacture custom ordered nautical table top gift items as per the requirement of the client. The showcased one is an Armillary Globe available in different sizes. It is made of solid iron with antique finishing. With the efforts of our professionals, we are able to supply our clients an exclusive range of Nautical Decor. Available in varied sizes as per the requirements of the clients, these products are manufactured using high grade raw material and are offered at market leading prices. 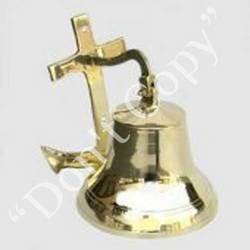 We are manufacturer of brass nautical decor items.